A voter shows her ID in a primary election in Cornwall, Pa., on April 24, 2012. This primary was also a test run for the new Pennsylvania voter ID law. A new nationwide analysis of more than 2,000 cases of alleged election fraud over the past dozen years shows that in-person voter impersonation on Election Day, which has prompted 37 state legislatures, including Maine’s, to enact or consider tougher voter ID laws, was virtually nonexistent. The analysis of 2,068 reported fraud cases by News21, a Carnegie-Knight investigative reporting project, found 10 cases of alleged in-person voter impersonation since 2000. The News21 report is based on a national public-records search in which reporters sent thousands of requests to elections officers in all 50 states, asking for every case of alleged fraudulent activity — including registration fraud; absentee-ballot fraud; vote buying; false election counts; campaign fraud; the casting of ballots by ineligible voters, such as felons and non-citizens; double voting; and voter impersonation. The analysis found that there is more alleged fraud in absentee ballots and voter registration than in any of the other categories. The analysis shows 491 cases of alleged absentee ballot fraud and 400 cases involving registration fraud. Requiring voters to show identification at the polls — the crux of most of the new legislation — would not have prevented those cases. Maine Republicans pushed for passage of a voter identification law in the Legislature during the past session, but it was scaled back to a study. Maine voters in November overturned an effort to repeal the law that allows Election Day, or same-day, registrations. The News21 analysis also found that more than 46 percent of the reported election fraud allegations resulted in acquittals, dropped charges or decisions not to bring charges. In many cases, people simply made mistakes. Felons or non-citizens sometimes registered to vote or cast votes because they were confused about their eligibility. 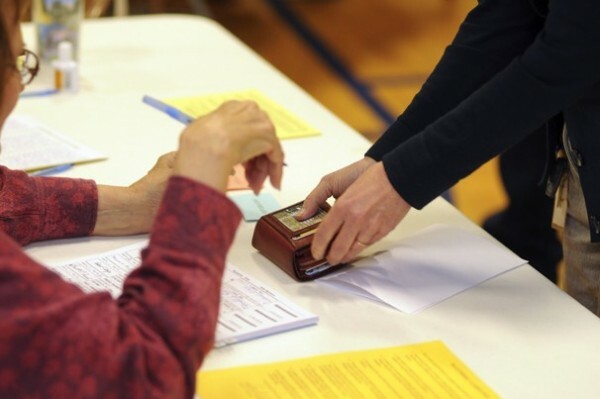 Some voters accidentally cast their ballots twice or went to the wrong precinct. And election officials made mistakes, such as clerical errors — giving voters ballots when they have already voted — and errors due to confusion about eligibility. One of the instances of voter impersonation fraud occurred in Londonderry, N.H., in 2004 when 17-year-old Mark Lacasse used his father’s name to vote for George W. Bush in the Republican presidential primary. Lacasse’s record was cleared after he performed community service. Claudel Gilbert, a Haitian immigrant in Ohio who had changed his address in 2006, received two registration cards in the mail and said he thought he had to vote in both places for his vote to count. In four other cases, people were accused of double voting for filling out their ballot and their spouses’. Voter impersonation fraud has attracted intense attention in recent years as Republicans and others have argued that strict voter ID laws are needed to prevent widespread fraud. The case has been made repeatedly by the Republican National Lawyers Association. Part of the group’s mission is advancing “open, fair and honest elections,” and it has compiled a list of about 375 election fraud cases, based mostly on news reports. News21 examined those cases and found that 77 were alleged fraud by voters. Of those, News21 could verify that 33 resulted in convictions or guilty pleas. The analysis shows no cases of voter impersonation fraud. Many voter ID supporters argue that the measures are needed to ensure the integrity of elections, no matter how many violations have occurred. “Whether you have proof of it or not, what in the heavens is wrong with showing an ID at polls?” said Bill Denny, a Republican state representative in Mississippi who sponsored his state’s voter ID bill. That bill is awaiting pre-clearance by the Justice Department, a process some states with a history of discrimination must go through before making electoral changes. Civil rights and voting rights activists condemn the ID laws as a way of disenfranchising minorities, students, senior citizens and the disabled. “It’s simply a new big burden on the backs of people who just want to have their voices heard during elections,” said Eddie Hailes, managing director and general counsel of the Advancement Project, a civil rights group challenging voter ID laws in Texas, Wisconsin and Pennsylvania. The Justice Department objected to the Texas voter ID law — a piece of which U.S. Attorney General Eric H. Holder Jr. likened to a poll tax — on the grounds that it would disproportionately affect minorities and the poor. The state preemptively sued the Justice Department for the right to implement the law, and arguments were heard by a three-judge panel in Washington in July. A verdict is expected within the next month. Indiana and Georgia were the first states to pass strict voter ID laws, in 2007 and 2008, respectively. Efforts accelerated markedly after the elections of 2010, when Republicans took over statehouses across the country. Since then, Republican-dominated legislatures — with the exception of Rhode Island, where Democrats passed a photo ID law — have considered 62 ID bills. Nine states — Alabama, Kansas, Mississippi, Pennsylvania, South Carolina, Tennessee, Texas, Virginia and Wisconsin — passed stricter voter ID laws, though only the Kansas, Pennsylvania and Tennessee measures are scheduled to be in effect by November. According to Pennsylvania state officials, as many as 759,000 people, about 9 percent of the state’s 8.2 million registered voters, do not have the identification that will be required to vote. The Justice Department is investigating the ID law to determine whether it violates the 1965 federal Voting Rights Act by discriminating against minorities, according to a letter sent to Pennsylvania officials. Pennsylvania officials, who responded to the News21 public-record requests, also reported no cases of Election Day voter impersonation fraud since 2000. In 2003, for instance, the Indiana Supreme Court invalidated East Chicago Mayor Rob Pastrick’s Democratic primary victory because of widespread fraud. Pastrick, an eight-term incumbent, lost in a 2004 repeat election. Forty-six people, mainly city workers, were found guilty of committing absentee-ballot fraud by giving their ballots to someone else. Some advocates of voter ID laws say voter fraud is used to steal federal elections. In one of the few cases in the News21 database explicitly involving federal candidates, four Indiana Democratic Party officials were accused in 2008 of forging signatures on petitions to get Sens. Barack Obama and Hillary Rodham Clinton on the state primary ballot. No one was convicted. The News21 analysis shows that 34 states had at least one case of registration fraud — an irregularity that occurred during the registration process, not when someone voted — and that many such cases were associated with third-party voter registration groups. The solution, some say, is to enact new laws while also making it easier to vote. Trey Grayson, a former Republican Kentucky secretary of state and now the director of the Institute of Politics at Harvard University’s John F. Kennedy School of Government, suggests that voter identification laws could be paired with Election Day registration. Grayson criticizes many opponents of voter identification laws, suggesting that their focus on voter suppression may have an adverse effect on turnout. Grayson said there is potential to have comprehensive election reform without partisan politics. Alex Remington of News 21 contributed to this report. News21 is a national investigative reporting project involving college journalism students across the country and based at the Walter Cronkite School of Journalism and Mass Communication at Arizona State University. News21 is funded by the Carnegie Corp. of New York and the John S. and James L. Knight Foundation.